With a nationwide inventory shortage, home prices are spiking, spurring bidding wars in tough-to-negotiate sellers’ markets—and yet, these conditions are not dissuading buyers from throwing their hat in the ring, even if that means stretching themselves thin to reach that homeownership goal. According to a CoreLogic study completed for The Wall Street Journal, around one in five conventional mortgage loans given out this past winter were allocated to borrowers who are spending over 45 percent of their monthly income on their mortgage and other debts—a proportion that has tripled since 2016 and the first half of 2017. Even as buyers stretch for affordability, the real estate industry is wary that these challenged market conditions will impede their ability to buy. 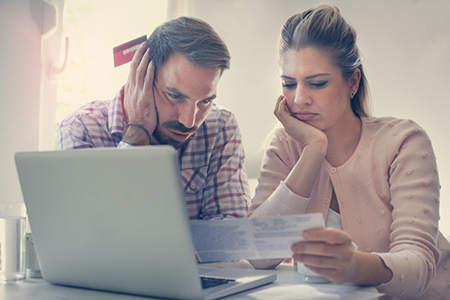 In order to assist homebuyers, lenders are searching for ways to ease borrowing restrictions by creating incentives, such as allowing lenders to provide partial credits. Fannie Mae recently updated its Single Family Selling Guide to allow lenders to supply partial closing costs and contribute to fees under certain conditions. However, these solutions do little to offset the large debt buyers are taking on. With the debt-to-income thresholds being raised—Fannie Mae increased it to 50 percent from 45 percent last summer—more buyers will be at risk of becoming “house poor.” With the demand for homes slowly increasing and mortgage rates predicted to rise, could this easing of credit restrictions for loan worthiness be a sign of another bubble? According to the CoreLogic data, the number of new buyers with debt-to-income ratios between 46 percent and 50 percent are still below the 37 percent peak registered in that range in 2007; however, the levels of buyers within that range are slowly approaching that of 2004-2005 and should be monitored.